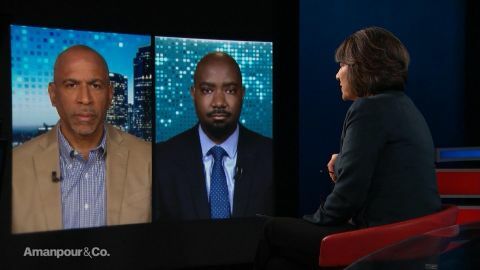 As teacher strikes across America highlight the country’s frayed public education system, Prof. Pedro Noguera, distinguished professor of Education at UCLA, and Nate Bowling, Washington state’s teacher of the year in 2016, discuss why lawmakers need to start prioritizing teaching. THIS IS QUITE AN AMAZING PHENOMENON. YOU'VE GOT HUNDREDS OF THOUSANDS OF TEACHERS IN DIFFERENT STATES STRIKING AND THEY HAVE BEEN DOING SO FOR QUITE A LONG TIME. IS THERE -- HAS THERE EVER BEEN ANYTHING LIKE IT? IS THIS SORT OF UNPRECEDENTED? IT IS UNPRESCEDENTED, WE HAV SEEN ISOLATED ACTION IN DIFFERENT COMMUNITIES ACROSS THE COUNTRY AT VARIOUS TIMES BUT TO HAVE THIS MANY STRIKES IN THIS MANY DIFFERENT PARTS OF THE COUNTRY AT ONCE IS TRULY UNPRECEDENTED AND IT'S A SIGN THAT MANY TEACHERS ARE VERY FRUSTRATED AT THE STATE OF PUBLIC EDUCATION. 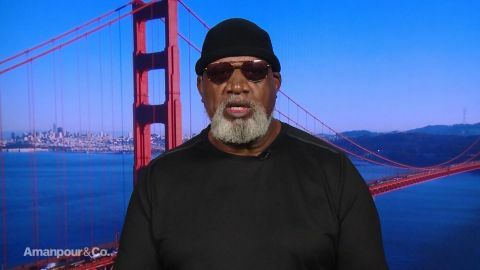 AND JUST TO EXPAND ON THAT, IS IT A COLLECTIVE, SO TO SPEAK, THEY'RE ALL STRIKING FOR PRETTY MUCH THE SAME THING, AND I KNOW THERE ARE SEVERAL ISSUES THAT ARE AT STAKE, BUT FIRST LET ME FOCUS ON CONDITIONS IN THE SCHOOLS, IN THE CLASSROOMS. WHAT ARE THE CONDITIONS THAT THEY ARE PARTICULARLY EXERCISED ABOUT. BUT SINCE 2008, THE GREAT RECESSION, MANY STATES BEGAN ON A PATH OF FISCAL OSAUSTERITY, WHICH TOOK A PARTICULAR TOLL ON THE SCHOOLS AND RESULTED IN BOTH CUTS AND MAJOR, YOU KNOW, NO RAISES IN TEACHER SALARIES AND THE LIKE, AND WHAT WE HAVE SEEN IS THAT MANY STATES HAVEN'T EVEN AS ACCOUNTINGS IMPROVED, HAVE NOT REINVESTED IN EDUCATION, AND SO CONSEQUENTLY, TEACHERS ARE FRUSTRATED PARTICULARLY IN AREAS LIKE THE BAY AREA WHERE HOUSING COSTS ARE SO HIGH, AND THE COST OF LIVING HAS RISEN BUT SALARIES HAVEN'T RISEN, THAT'S A HUGE FACTOR, BUT ECONOMICS IS NOT THE ONLY ISSUE DRIVING THE STRIKES. NATE BOWLING, YOU ARE A TEACHER. A FEW YEARS AGO, YOU WERE DECLARED WASHINGTON STATE'S BEST TEACHER AND YOU YOURSELF IN THE LAST FEW MONTHS HAVE ALSO BEEN ON STRIKE IN THE STREETS, OUT OF YOUR CLASSROOM. FLESH OUT FOR ME WHAT THE PROFESSOR HAS TOLD US ON A MA CMACRO LEVEL, WHAT DOES IT MEAN TO BE A TEACHER IN THE PUBLIC SCHOOL SYSTEM TODAY? THERE'S A TWO TRACK PROBLEM I SEE IN TEACHING. ON TRACK ONE YOU HAVE BASICALLY ALMOST ALL TEACHERS ARE UNDERPAID AND OVERWORKED AND ASKED TO DO A JOB THEY DON'T FEEL THEY'RE VALUED BY SOCIETY X IN YOUR PROFESSION, THE HIGHLY EFFECTIVE EDUCATORS, THAT MEANS YOU CAN GO TO OTHER CAREER PATHS THAT ARE LESS STRESSFUL AND PAY MUCH BETTER. HAVE YOU BEEN TEMPTED TO LEAVE THE SCHOOL? HAVE OTHER OF YOUR COLLEAGUES LEFT? I MEAN, HOW HAS IT IMPACTED YOU AND ALSO THE SCHOOLS? I LOVE THE JOB OF TEACHING AND I CHOOSE TO STAY IN THE CLASSROOM, BUT IF YOU LOOK AT MY TEACHER OF THE YEAR COHORT, WE HAD FOUR FINALIST, OF OUR FOUR FINALISTS, TWO OF THEM ARE DOING POLICY WORK IN WASHINGTON, D.C., ONE IS A MEMBER OF CONGRESS, AND THE REMAINING TWO BOTH WALKED A PICKET LINE. IF THE TEACHERS OF THE CAREER ARE FRUSTRATED, IMAGINE BEING ONE OF THE ANONYMOUS TEACHERS TOLLING IN A RURAL INCOME SCHOOL IN AMERICA.